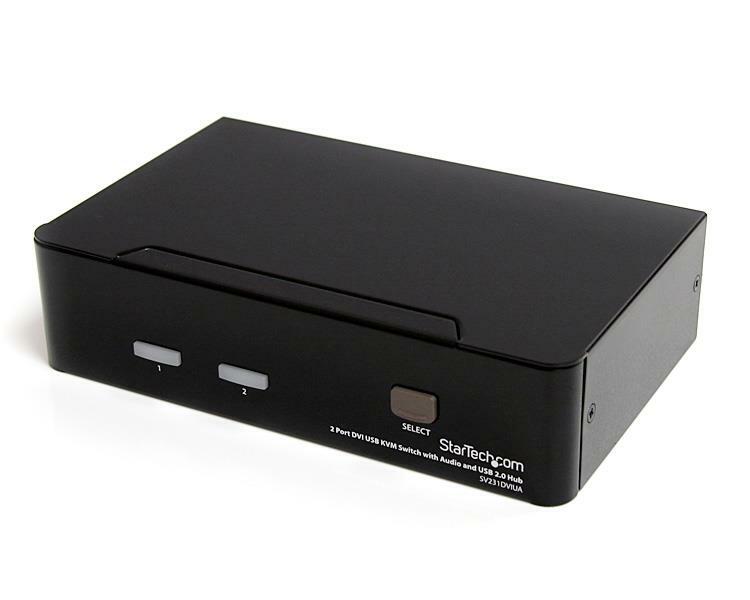 The SV231DVIUA 2-Port DVI USB KVM Switch lets you control two USB-enabled, DVI-capable computers from a single monitor and peripheral set (keyboard, mouse and speakers), and two additional USB peripherals connected through the built-in USB hub ports. 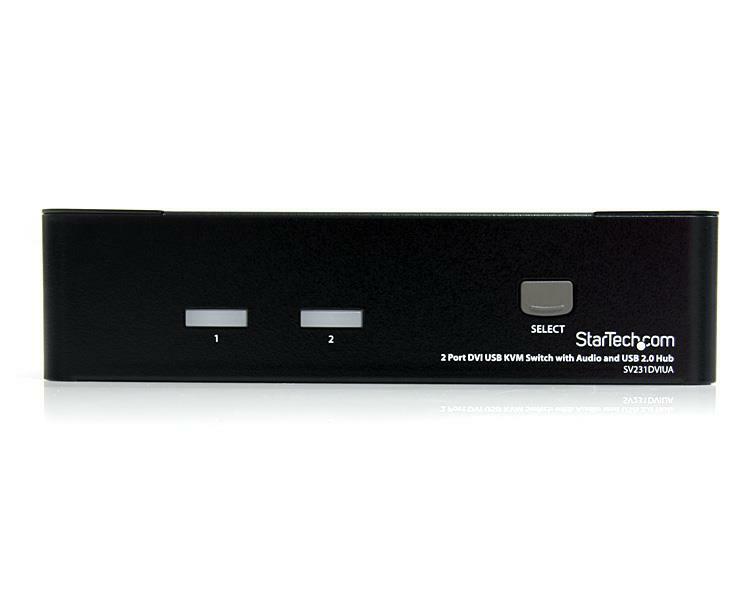 Featuring convenient hot-key and front panel push-button switching, and high-resolution support (up to 1920x1200), the DVI KVM Switch is perfect for controlling high-performance systems. 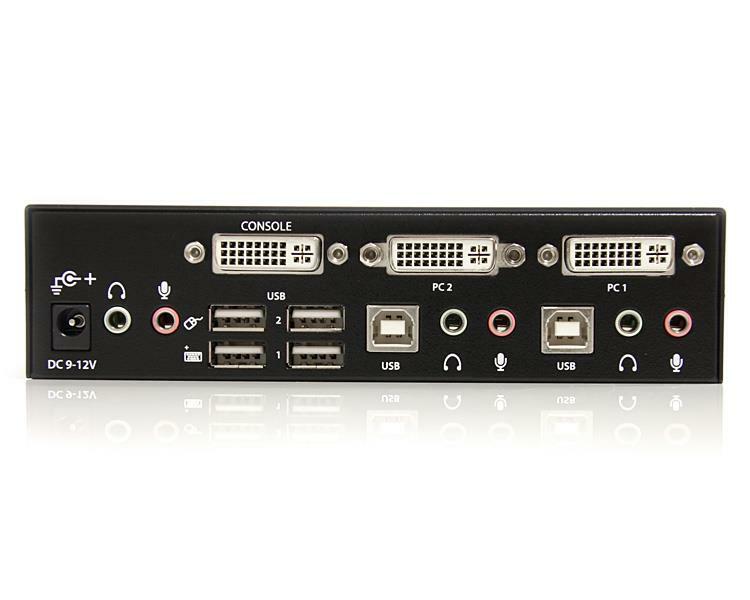 Ideal for multimedia applications, this KVM switch supports audio and microphone switching either independently, or simultaneously when switching between computers for KVM control. 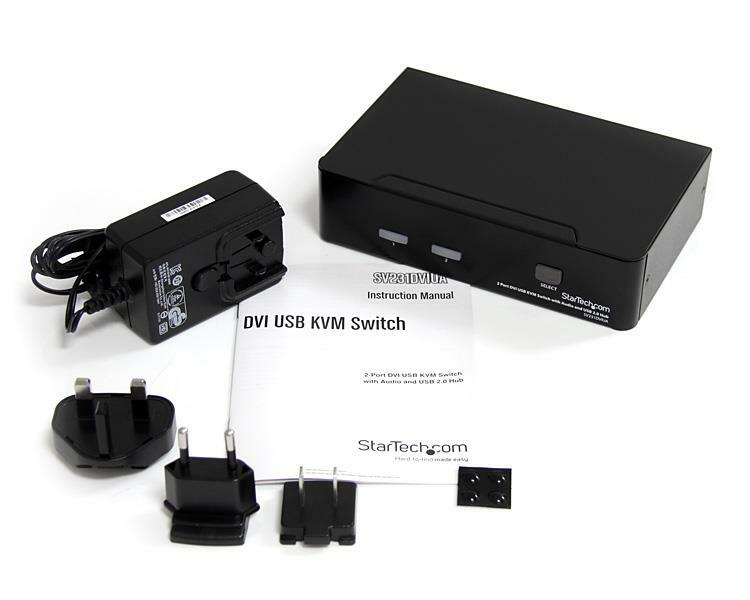 The DVI USB KVM also features an integrated USB 2.0 hub, which lets you share USB peripherals point as if they were connected directly to the slave computers.